Like Disney? Click here to view the entire range. Ever wanted to be a princess? 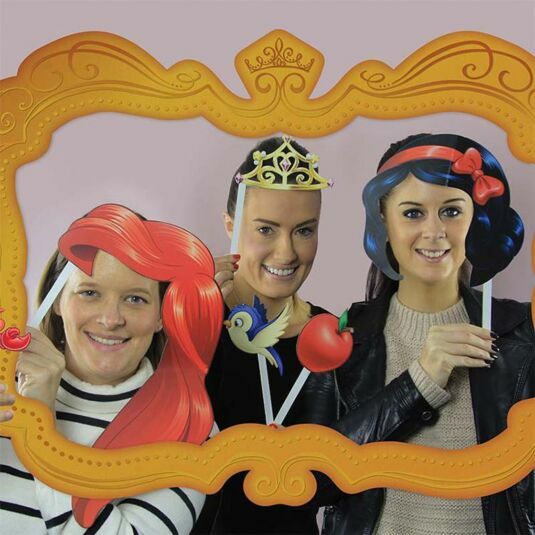 Well, with this princess photo booth from Disney, you’ll have everything you need to become one of the most iconic princess’ in history! From Cinderella to Ariel, and Snow White to Belle, you can personify the amazing characters that Walt Disney created all those years ago. 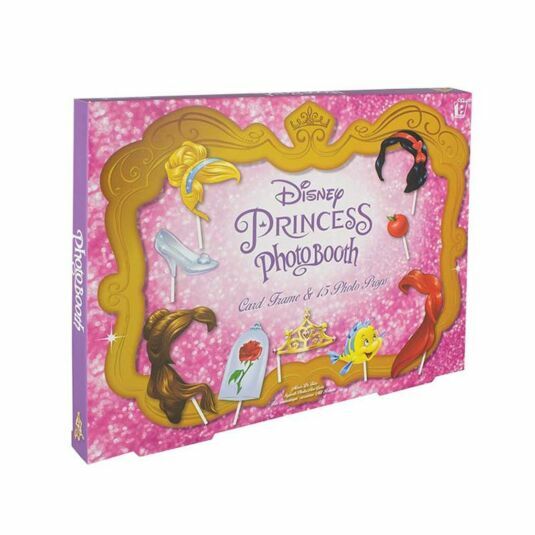 This makes the perfect gift for anyone who simply adores Disney, and deserves that Disney Princess makeover! Perfect for capturing those magical moments, this product simply oozes fun. We can only imagine the possibilities. 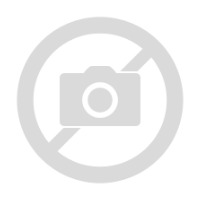 You could create party photos or fun selfies on your own. Whatever you decide, you won’t be disappointed with the result! 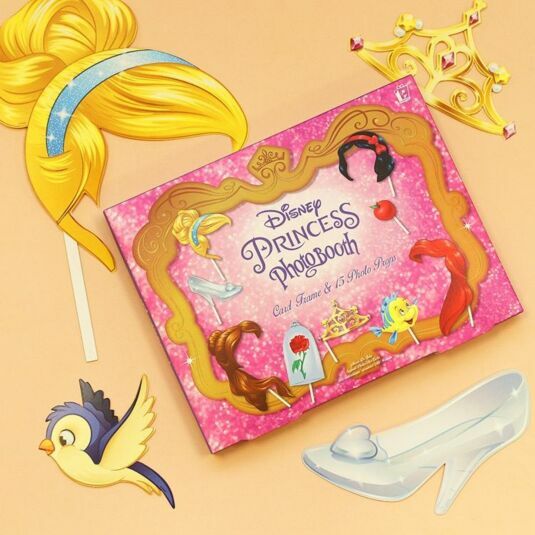 This product contains 15x card props, from movies including Snow White, Cinderella, The Little Mermaid, and Beauty and the Beast. These can be attached to the card frame or held yourself. There are 15x adhesive prop stickers to allow for easy attachment to the frame. The included card frame measures 92cm by 115cm. The photo booth is a high quality product that is true to the animations of old; just what you would expect from an officially licensed Disney product.